Garage door break ins are very common. The experienced burglar knows how to break into your home using the garage door. In this way they have access to your home while having additional time and privacy to break into your home through this entry point. To help secure your home this holiday season, AAA Action Garage Doors will share how to prevent garage door break ins. If your garage door is older than 1993, your home is at risk! Older garage door openers use one code to activate the garage door. The experienced burglar can easily scan your garage door code. With your garage door code they can open your garage door at any time. 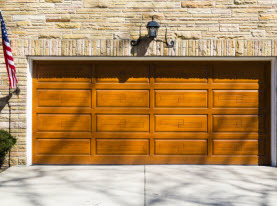 Due to this flaw, modern garage doors use multiple codes and change each time it is activated. There isn’t much that can be done to stop someone from scanning your code, which is why if you have a garage door system that is older than 1993, consider upgrading your home garage door with a modern more secure system. Big time thieves want to get into your home. Often they will break into a vehicle parked outside the home and steal the garage door remote. To prevent someone from breaking into your vehicle and stealing your home’s garage door remote, make sure to keep it out of view. For those who keep their remote in their vehicle, never clip it to the sun visor, leave it in plain sight, or bring it in the home with you. Instead, store the remote in the glove box or in a compartment to help reduce the chances of someone breaking into your car and stealing your remote. 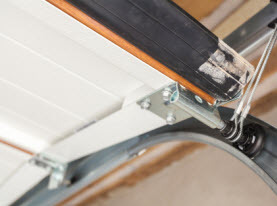 Modern garage doors since 2005 have openers that are connected to smartphones. Another option is to ditch the opener and upgrade your garage opener to a smartphone reading system. For those who may leave their homes for the holidays, you’ll want to secure your garage door. 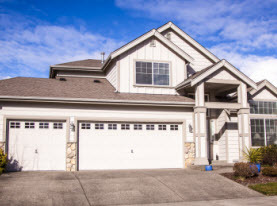 Just before you leave consider disconnecting the garage door opener from the electrical outlet. Additionally you may want to add a slide lock which is the steel rod that is used to manually open a garage door in the event there is an emergency. You can lock this rod in place by using a padlock. LiftMaster has an automatic lock available that connects the WIFI garage door opener and it will lock down the opener unless activated with your smartphone. 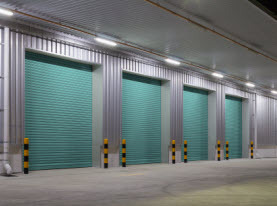 If not for the tools and other goods often stored in a garage, burglars can and will use the garage door to gain access to the inside of your home if at all possible. Therefore, make sure you have extra security systems in place. After fortifying your garage door, consider adding motion sensor lights, and a security system for your home including garage entry doors, and garage windows. For those who may want to upgrade their garage door or require a garage door system inspection, repair or replacement, contact AAA Action Garage Doors and schedule our services today.